The Colts passing game has powered their five-game winning streak. Despite not having injured starting center Ryan Kelly, Indianapolis kept on humming offensively. 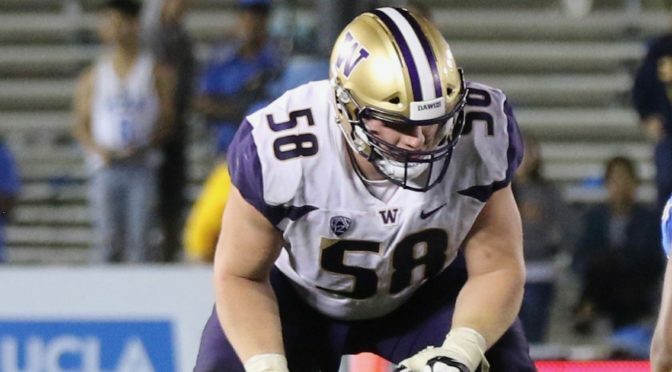 Rookie guards Quenton Nelson and Braden Smith are athletic and nasty. Smith could be seen paving the way on a bubble screen on third down for T.Y. Hilton 25 yards down the field. 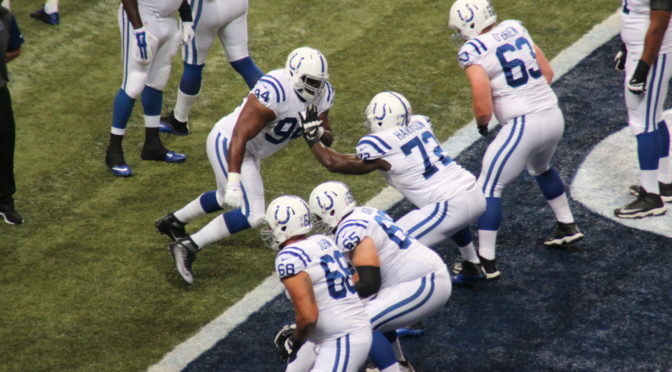 The front five cares about their quarterback, multiple linemen sprinted after the play to see if quarterback Andrew Luck was fine after a late hit from Dolphins linebacker Kiko Alonso. 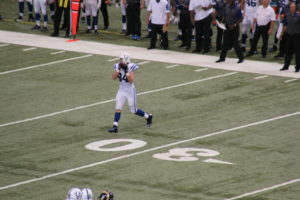 Luck has benefited from the improved offensive line play, throwing for 32 touchdowns and 11 interceptions this season. He has also been sacked just 11 times, which is tied for a league low. After missing five weeks of action, Tannehill returned on Sunday and gave the Dolphins consistent play at quarterback against the Colts. It had been three games since the Dolphins had thrown a passing touchdown but Tannehill threw a pair of first half touchdowns to keep Miami tied at half. 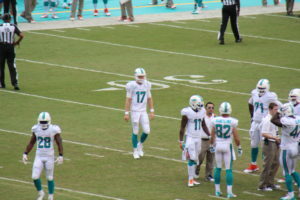 For the game, Tannehill finished with two touchdowns and zero interceptions while completing 17-of-25 passes. The former Texas A&M quarterback is an upgrade over Brock Osweiler, who started in his absence, but that may not be enough to keep his starting job going into next season. As the Dolphinsn enter the final month of the season, look for the quarterback position to be closely evaluated. Indianapolis tight end Jack Doyle will miss the rest of the year with a kidney injury. Eric Ebron has been the biggest beneficiary of Andrew Luck’s comeback season. The tight end has caught 44 passes for 508 yards and 11 touchdowns while splitting time with fellow tight end Jack Doyle. Doyle will miss the rest of the season with a kidney injury, which means even more will be asked of the former Detroit Lion. Against the Dolphins, Ebron hauled in a pair of red zone touchdowns, in what was his third multi-touchdown game of the year. Ebron is a red zone threat because of his size and athletic ability. He is able to work the seams and catch in traffic as well as jump over smaller defensive backs. 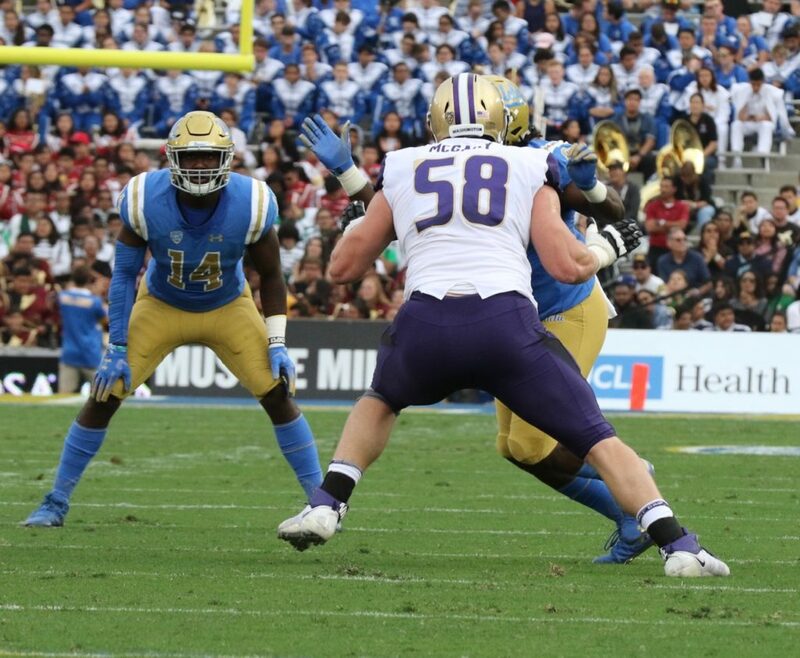 However, his overall skill-set will be measured by how well he can fill in as a run blocking tight end for Doyle, who was one of the NFL’s best in that regard. Meet the NFL’s tackle leader: Darius Leonard, the 31st-ranked player on DraftNasty's 2018 Big Board. And if you watched Leonard at South Carolina State this shouldn’t come as a surprise. Leonard stuffed the stat sheet against the Redskins, posting 18 tackles, one quarterback sack, a forced fumble and a pass deflection. As his numbers would indicate, Leonard was dominant in the run and pass game. What was most impressive in the game against Washington was Leonard’s ability to use his closing speed to diagnose plays and keep potential 10-15 yard gains to minimal pickups. The rookie linebacker wears the helmet transmitter during games and has made himself into the quarterback of the defense. His athleticism allows him to match up against tight ends and running backs in the pass game and is willing to help in the run game. He reminds me of Derrick Brooks with his sideline-to-sideline quickness and his matchup versatility. Look for the Colts, who are in a rebuilding mode, to continue to build the defense around rookie linebacker Darius Leonard. Hilton has 12 receptions and two receiving touchdowns in the first two games of the year. Frank Reich has made a name in the NFL as a coach because of his ability to adapt and tailor his game plans from week-to-week. The Colts used a heavy diet of pick plays against man-to-man coverage that caught the Redskins off guard. 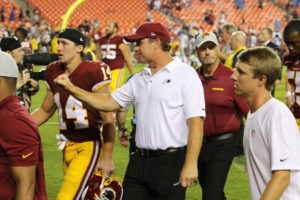 Washington has several corners, including Josh Norman and Quinton Dunbar, who excel in press man coverage and the pick routes used by the Colts allowed their quick-twitched receivers to roam free over the middle of the field and took away the Redskins' strong suit of jamming receivers at the line. T.Y. 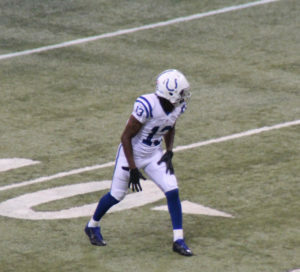 Hilton, the Colts star receiver, was the beneficiary of the game plan and from the first drive of the game it was clear that the Colts plan of attack centered on getting Norman off of his body. 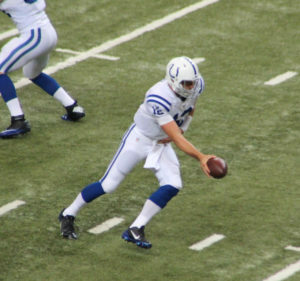 To begin the second quarter, Luck bought Hilton in motion from the right sideline to the numbers and immediately snapped the ball, which gave the Pro Bowl receiver more room to work with on his post route against Norman, who couldn’t jam the receiver at the line. Hilton finished with seven catches for 83 yards and a touchdown against Washington. 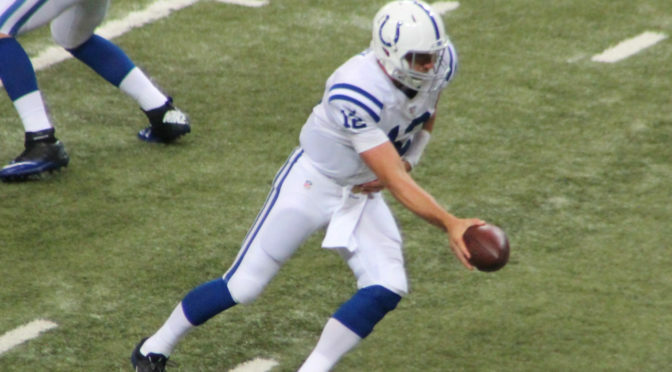 If the Colts offense was original, the Redskins offense was vanilla and predictable. The Redskins finished with just 65 rushing yards and 269 passing yards, the bulk of which came in garbage time. Washington thrived in Week 1 with a balanced running attack but as has been the case in Jay Gruden’s tenure, the team has a tendency to abandon the run for no obvious reason. The team's receivers aren’t at the level to carry their offense and struggled against the Colts cornerbacks to get separation in their routes. Look for Washington to get back to a more balanced attack against Green Bay as Gruden may open the game with a deep ball or two to loosen up the Packers secondary.